Series to Premiere on Discovery Channel on July 8th! The 2018 Season of Cabela’s Collegiate Bass Fishing Tournament Series™ will air on Discovery Channel beginning July 8, 2018. 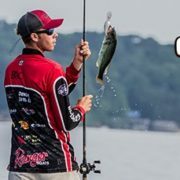 Fans of the Cabela’s Collegiate Bass Fishing Tournament Series™ can tune in every Sunday at 8:30 a.m. EST to see latest college bass fishing action. As the season unfolds, some of the highlighted coverage seen on the Discovery Channel this summer will include the Texas Lunker Challenge presented by Mossy Oak on Sam Rayburn Reservoir, the Cabela’s Collegiate Big Bass Bash presented by Berkley on Kentucky Lake; and finally, we’ll make our way to the most prestigious event of the year — The BoatUS Collegiate Bass Fishing Championship presented by Cabela’s on Pickwick Lake, Florence, AL. With jam-packed action on the water, including coverage of the Cabela’s School of Year race presented by Abu Garcia, this season is sure to be one for the record books! 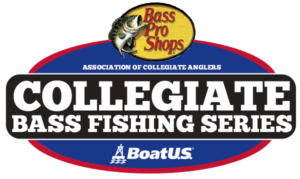 College anglers interested in learning more about these events can visit www.CollegiateBassChampionship.com, where they will find rules, registration dates for the remaining 2018 events, as well as news, Discount & Incentives, and announcements. https://www.collegiatebasschampionship.com/wp-content/uploads/2018/07/CBFC-Discovery-Channel.jpg 229 603 Amanda https://www.collegiatebasschampionship.com/wp-content/uploads/2018/11/2019-Bass-Pro-Shops-Collegiate-Bass-Fishing-Series-Association-of-Collegiate-Anglers-Boat-US-2-300x179.png Amanda2018-07-02 09:33:072018-07-02 14:58:19Series to Premiere on Discovery Channel on July 8th!